“Kildare has huge potential to grow and expand out tourism offering and our tourist numbers and this new four year strategy is a roadmap for that growth. 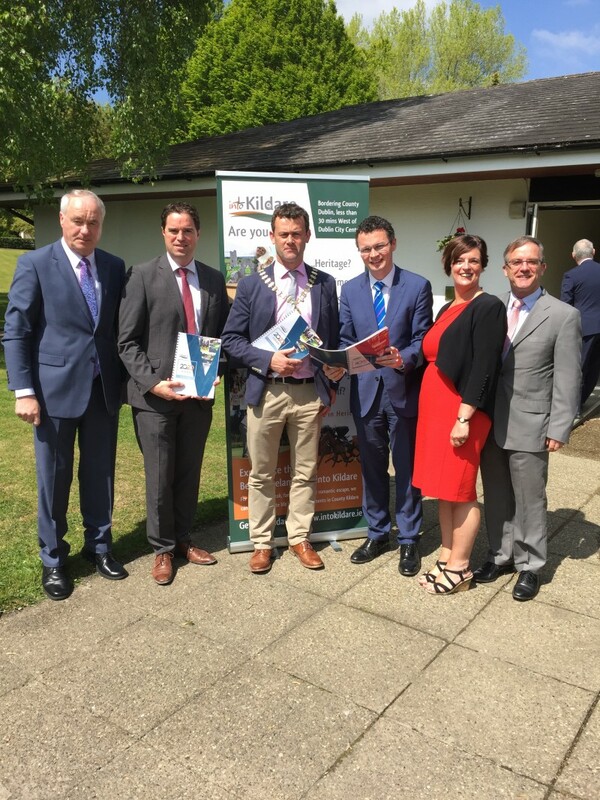 The Minister welcomed the new strategy and the work put into it by County Kildare Failte, Kildare County Council and local stakeholders. “County Kildare Failte has led the charge in promoting Kildare tourism since its launch and is a fine example of the collaborative approach including the Local Authority, industry and community representatives. Its IntoKildare website is an impressive welcome to the County for locals and visitors alike and highlights our key attractions, both well known and lesser known. “Given its proximity to Dublin and key motorway arteries, Kildare is a key tourist destination with potential to grow if we can get more visitors to slow down and stay longer here on their way through. Local attractions such as Newbridge Silverware, the National Stud and Kildare Village are all key in that goal. “According to Failte Ireland estimates, Kildare had 214,000 overseas visitors in 2015 and 230,000 domestic which generated an estimated €129 million in revenue in total. This new strategy aims to increase overseas visitor numbers by 25%, island of Ireland visitors by 30%, and grow total visitor revenue by 40% by 2020. One of the ways it aims to do this is to maximise the benefits gained from Ireland’s Ancient East and Kildare’s proximity to Dublin and Dublin Airport. Such growth would support the creation of an additional 2000 direct and indirect jobs within hospitality and tourism across the county by 2020. “The National Stud was a fitting location for the launch on a lovely sunny day which showed one of Kildare’s leading attractions at its best. I look forward to working with County Kildare Failte, Kildare County Council and all stakeholders to see these targets realised.